Without speaking Hungarian it's a big deal to try to find your way around a city like Budapest, Hungary, and nearly impossible to find wht you are looking for without wasting so much time. Ideally, finding a knowledgeable guide is the perfect solution to getting a handle on the history of the food, wine and changing styles of a city, and we were all lucky to find ourselves on a fun food & wine walk with one of the best guides in Budapest. All the members on the tour shared introductions and we began our tour at the Panorama Bar to sample some local aperitifs, one was a Pear Palenka (similar to grappa combined with fruit flavors) and the other Unicum, a digestive guaranteed to cure everything that's wrong with you. I've never been crazy about grappa, and the cure all digestive was a bit medicinal tasting, but we all gave it a good college try, and said Eg�szs�g�re (cheers in Hungarian) to our stroll through Budapest. On the first floor of the market we sampled a variety of delicious Hungarian sausages with an assortment of pickled vegetables. Some sausages were mild and some very spicy, but the baby corn, cauliflower, peppers, and tiny water melons, especially the tiny water melons, were a fantastic pairing with these sausages. According to Virag it was a law that when vegetables became fully ripe they had to be turned over to the state, but many people picked the water melon and other vegetables early and began pickling them to insure they would have food. Pickled vegetable stands are very popular at the Central Market, but Virag selected Marika's stand, which was so colorful and great to photograph. We also took some time looking at the amazing meat and sausage market stalls, where one butcher with a keen sense of humor put sun glasses on a lamb head to make us laugh. A short five minute walk took us to Belvarosi Diszotoros, a deli-style stand up venue that offered authentic home-cooked Hungarian soup, salad, sausage, goulash with bread and more. This neighborhood restaurant was packed with locals, but it was standing room only because there were no chairs! From business groups, to families to college students it was packed with hungry lunch goers. Belv�rosi Diszn�toros (Downtown Pig Feast) is a traditional Hungarian butcher shop/restaurant serving Hungarian staples including fried sausage, black pudding, pork knuckle, goose leg, stuffed cabbage and more. You can pick from pickles, coleslaw, fresh white bread and fried potatoes to accompany your hearty meal. It was absolutely delicious food. Visit: www.belvarosidisznotoros.hu. The final and most amazing destination was The Tasting Table, an inviting tasting cellar with walls filled with local wines. We entered down some stairs to find a beautifully set wine tasting table with flowers. Ferenc Juhasz, the sommelier and manager greeted and welcomed us to sit down and enjoy the Blue Danube Wine Company, Carpathiau Wine & Old World Wine varietals selected for our tasting. Virag had selected wines for tasting in white, red and rose. 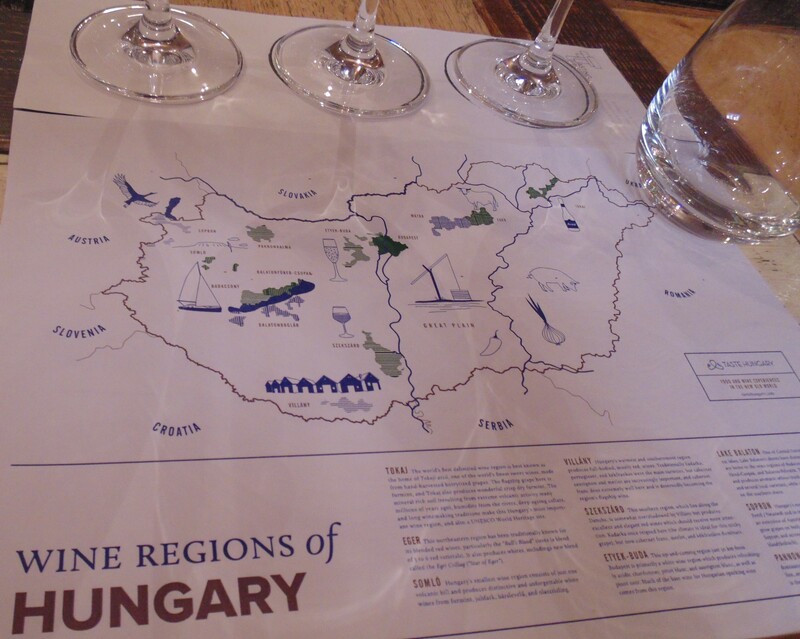 A huge tray of wonderful cheese, fruits, nuts and bread was in the center of the table to enjoy with each wine, and an explanatory map of the wine regions of Hungary was our place-mat, which aided us in following the presentation. We were all foodies, we all loved this part of the Food & Wine tour, and hated to see it end. For additional information I hope you will visit: www.tastehungary.com. For anyone who wants to learn quickly about authentic food and wine in Budapest I highly recommend this fun, delicious city walking tour, and Virag Lastoczki is a brilliant girl with a solid knowledge of Budapest food, wine and history. She can be contacted for this tour through (www.viator.com). 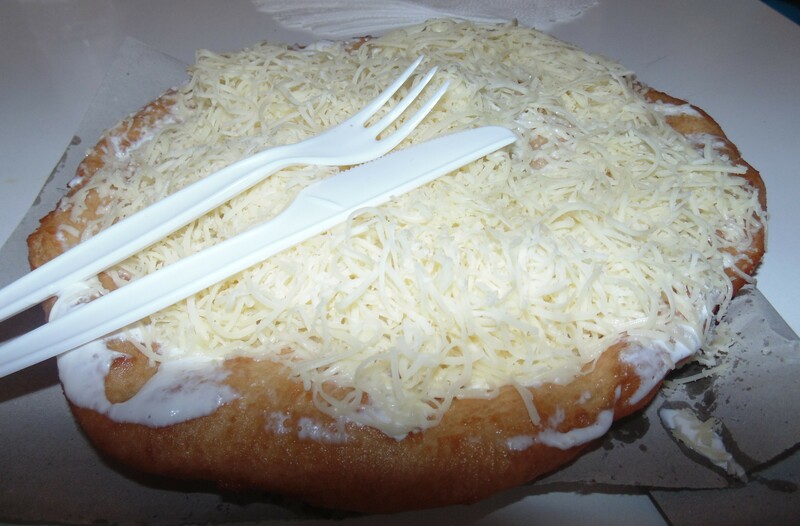 Wishing you J� �tv�gyat (Bon appetit in Hungarian)! Now taking reservations. With its stone columns and handsome brick fa�ade, Four Seasons Hotel Casa Medina Bogot� has been declared a monument of cultural interest by the Colombian Ministry of Culture. Step through the doors and be enveloped in welcoming residential comfort, with Spanish colonial accents such as beamed ceilings set off by an eclectic blend of the artisanal and the contemporary. The Hotel's flagship restaurant and bar adds an elegant new destination to the exciting Bogota restaurant scene in the Zona G, featuring the best of Spanish cuisine and cutting-edge mixology. Its lively streetside terrace and sheltered courtyard will feature some of the district's most desired tables. Adaptable meeting space is set to host the most prestigious gatherings in the heart of Colombia's financial core. All this is complemented by a serene and intimate spa and the intuitive, personalized care for which Four Seasons is known. By Air . . . .
airberlin is offering a fall fare sale available now through August 17th, 2015. The fare sale includes roundtrip fares from New York, Chicago and Los Angeles for travel period from October 1st through December 11th for New York and Chicago and from October 1st through October 31st, for Los Angeles. The sale includes many exciting destinations with fares starting from as low as $645 from New York to Poland, $689 from Chicago to Poland or $989 from Los Angeles to Vienna. Other destinations include Budapest, Copenhagen, Helsinki, and cities all over Germany to name a few. Certain restrictions and rules apply. This winter airberlin has increased service from Chicago and offers additional flights from New York with daily service to both Berlin and D�sseldorf. airberlin offers an array of destinations to Germany and throughout Europe such as Barcelona, Milan, Rome and Zurich. In addition with its code share partner American Airlines, travelers can easily access any one of airberlin�s U.S. gateways providing seamless connections via Chicago, Miami and New York to Germany. airberlin is one of the leading airlines in Europe and flies to 138 destinations worldwide each year. The second largest airline in Germany carried more than 31.7 million passengers in 2014. airberlin offers a global route network through its strategic partnership with Etihad Airways, which has a 29.21% share in airberlin, and through membership of the oneworld� airline alliance. topbonus, the frequent flyer program of airberlin is one of the leading programs in Europe with more than 3.8 million members. The airline with the award-winning service operates codeshare flights worldwide with 22 airlines. The fleet is among the most modern and eco-efficient in Europe. Together with other airlines, airberlin belongs to Etihad Airways Partners, a new brand with which Etihad has been uniting shared activities since the end of 2014. 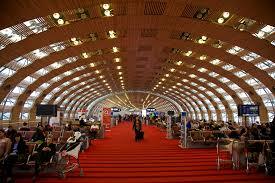 Made a quick stop at Charles De Gaulle, Paris on my way to Nuremberg and from Budapest. This airpport has grown by leaps and bounds, and has experiences many changes, especially for the traveling gourmond. Many new eateries are available, as well as a treasuretrove of wonderful shops filled with international goodies.